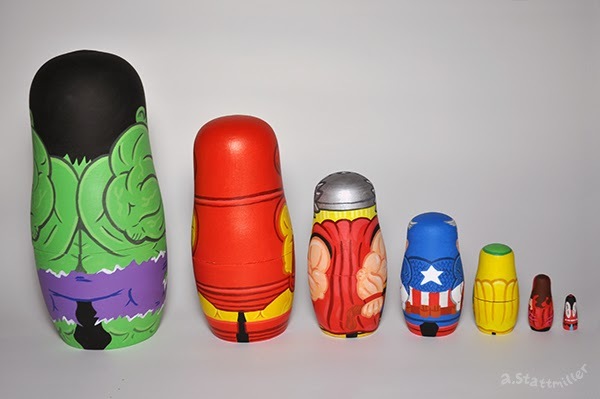 Well, I finally finished the Avengers nesting dolls! I decided to do the Avengers from the comic book (the early one, from the 1960's). 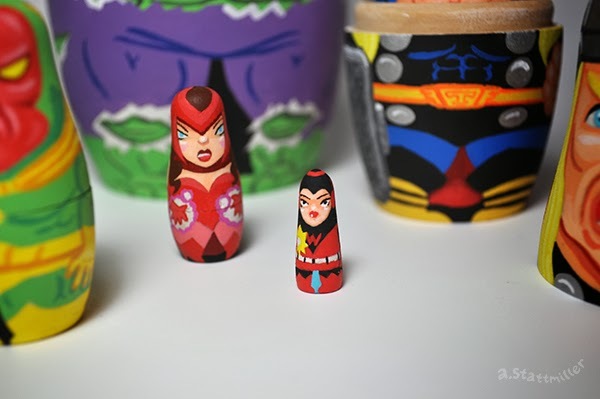 This set was hand painted with acrylic paint on wooden nesting dolls. 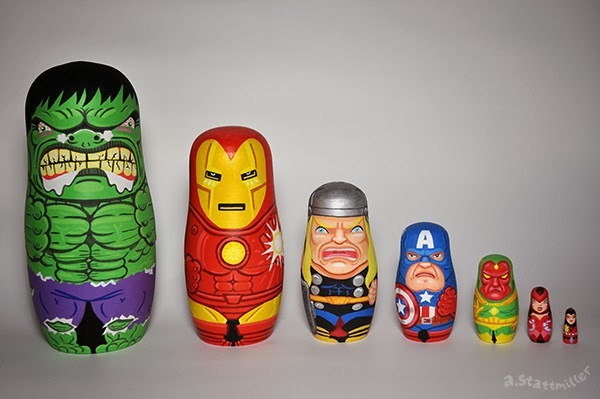 The seven piece set contains (from largest to smallest) The Incredible Hulk, Iron Man, Thor, Captain America, The Vision, The Scarlet Witch and last but not least The Wasp. 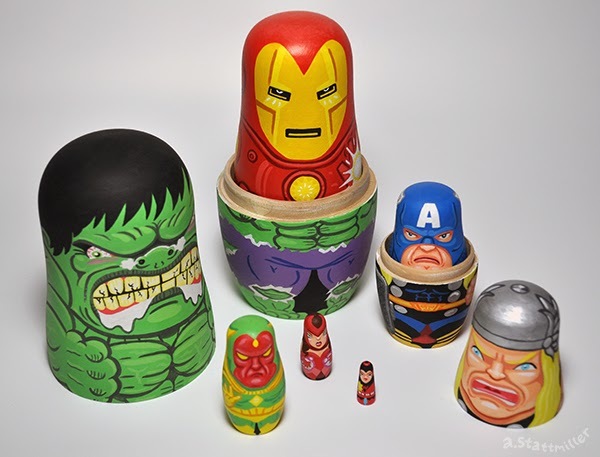 The Hulk stands 8" tall and The Wasp is a woppin' 0.75"!